Before getting into the details on how a water pump works, it is important to first know what exactly a water pump is. So a water pump is an electrical device designed to take the already existing water and increase the rate at which that water is moving. 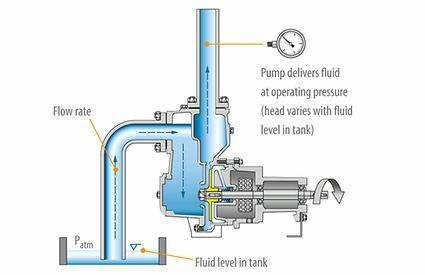 When the water is speeding up in the pump, the device is creating low pressure at the intake, therefore creating a vacuum. As the water is coming from the low-pressure side, the water outlet undergoes a higher pressure and the pushes the water with that force. They are various types of water pumps, but the two main categories that will be looked into in this article are the centrifugal water pumps and the positive displacement water pumps. Below is a detailed look into how a water pump works. This is a water pump that is powered by a device called the impeller. It consists of many blades that direct the water through the pump. These water pumps come in different models: standard, trash, and submersible. 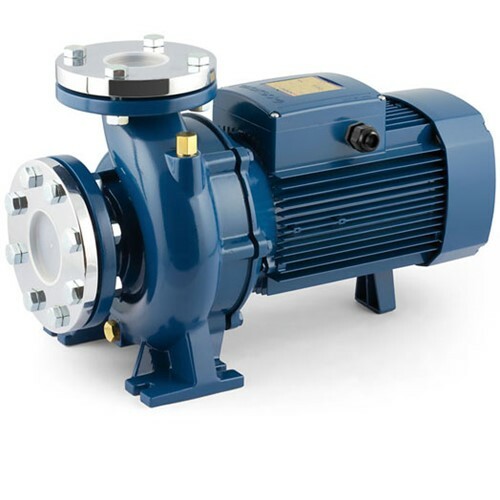 Such pumps are known to work well with thin liquids and offer high flow rates. 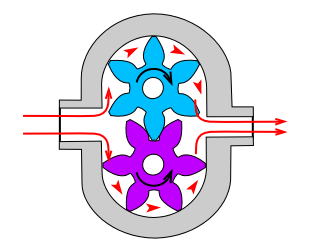 At the heart of a centrifugal water pump lies the impeller. It has a series of curved blades. These blades can be fitted with shroud plates. Such a water pump is considered to be the most efficient. The impeller is always immersed in water so that the water pump can work its magic. When you switch on your water pump, the impeller is made to rotate, thus, in turn, making the fluid around it also rotate. In this case, water. This rotation imparts centrifugal force to the water particles, which causes the water to move radially out. Since rotational mechanical energy is transferred to the fluid, at the discharge sides of the impeller, both pressure and kinetic energy of the water will increase. At the suction part of the water pump, water is getting displaced, thus causing low pressure to be induced. This low pressure helps in sucking the water into the system again. This creates some kind of cyclic process. With a centrifugal water pump, the impeller is normally fitted inside a casing. This is so that the water moving out will be collected inside it, and will move in the same direction of rotation of the impeller, to the water outlet. It is important to note the specialty of the casing. It has an increasing area along the flow direction, which will help in accommodating the water that is coming in. In addition, it helps in reducing exit flow velocity. This, consequently, results in an increase in static pressure, which is essential in overcoming the resistance of the pumping system. One problem is familiar with a standard centrifugal water pump. This is air. When the pump encounters air it becomes air-bound. In turn, this makes it harder to pump air than water, which essentially means that the pump cannot work efficiently in forcing out water with pressure. When the pump is working at its best, it will be filled with water with no traces of air. This kind of pump solves the problem of a standard centrifugal water pump by preventing air binding. The aim of the pump is to mix the water with air to create a fluid that can be pumped normally. After this process is done, the pump gets rid of the air and moves the water the same way a standard centrifugal pump would move. 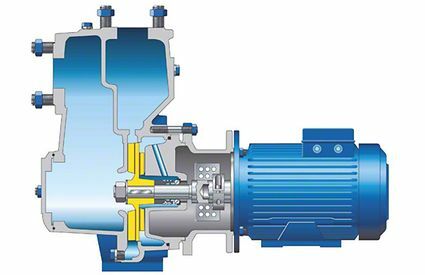 As opposed to the standard centrifugal water pump, this type of pump has a water reservoir built into the unit which helps it to rid pump and suction line of air by recirculating water within the pump during the priming process. The water reservoir can be found above the impeller or in front of the impeller. This depends on the manufacturer of the water pump. In some cases, the ability of a pump to “self-prime” comes from the pump’s ability to retain water after the very first prime. It is important to note that the pump should have water in the casing to operate. It is highly advisable never to run such a pump without water in the casing as it may be dangerous and may lead to seal failure. They have two basic designs. They can be reciprocating water pumps or rotary water pumps. The difference between these pumps and centrifugal water pumps is that they use mechanical energy to transfer water. If the displacement is on the forward stroke only, then the pump is single acting. The reciprocating water pump is double acting because it displaces water both on the forward and returns stroke. A positive displacement water pump is capable of delivering very high pressures. This pressure can be in excess of the design pressure and so a relief valve is necessary to protect the pump. Also, these pumps are self-priming as the suction and delivery are positively separated during pumping. Nonetheless, an external priming connection from the pump should be available in order to reduce wear and ensure quick starting of the pump. Most positive displacement pumps are of the rotary type. They normally operate in a circular motion and displace a constant amount of liquid with each revolution of the pump shaft. This is accomplished by the pumping components moving in such a way as to expand volumes to allow water to enter the pump. These volumes are contained by the water pump until the geometry causes the elements to move to reduce the volume and force the liquid out. The clearance of the elements within the pump separates the suction from the discharge, which makes them critical for efficient operation. As seen above, there are quite a number of water pumps that can be used and they work almost the same way. However, it is evident that the disadvantage of one is solved by an advantage of another. Very useful content. Wasn’t finding any good article. At last I found this great article. Thank you very much.